Within People®, there is the option to use our electronic absence return to work form and/or our holiday return to work form. 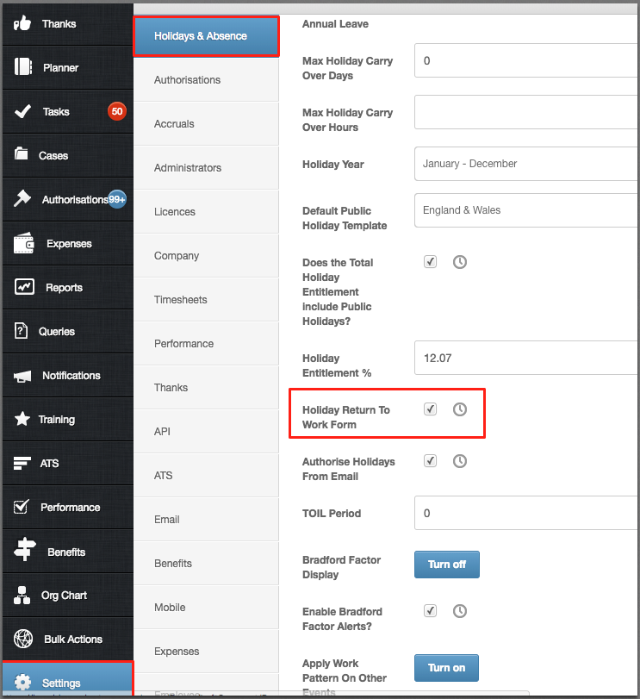 This article explains how an admin can turn these features on and how they work. If an employee's sickness requires an electronic return to work form, emails will still be sent out prompting the manager and employee to complete. These alerts will trigger every day from the day the employee comes back to work, until it has been completed. If you use your own form, we do not advise selecting this option. 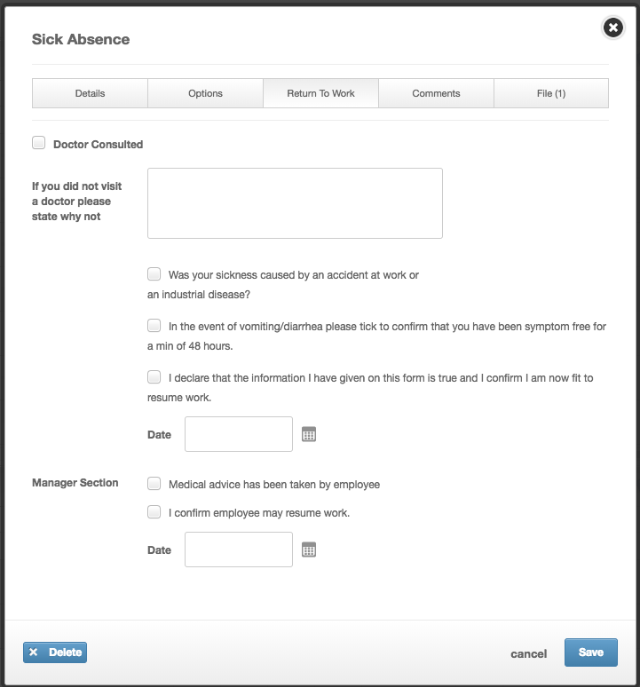 When adding a sickness to an employee record, you will have a list of different sick 'Reasons' that you can select. Against each sickness reason you can apply a number of items to be required against this specific sickness. 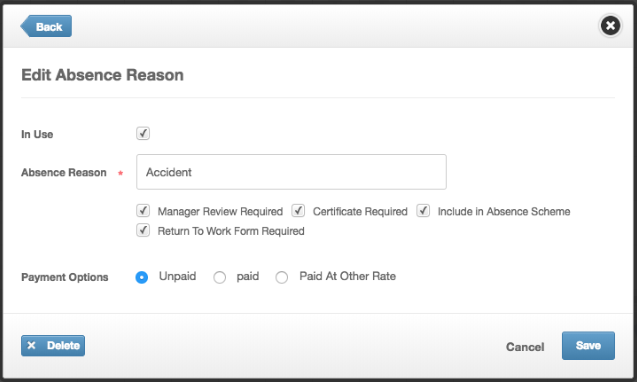 This feature allows you to request a Fit For Work form from all employees returning from holiday. When an employee returns from their holiday, email alerts will trigger every day from the day the employee comes back to work, until it has been completed. An email will then trigger to the manager to review and confirm this information within the form. If you use your own form, we do not advise selecting this option.